So it seems that Nintendo did not name its new console the NX after all, and that the Japanese company’s new contender in the console arena will be known as the “Nintendo Switch”. And it is clear that this machine won’t be what most gamers are expecting, but “a new concept” in gaming as Nintendo had told gamers earlier this year. This is because the Switch is not your traditional home console like the PS4 or Xbox One as can be seen in the preview video below, but rather a portable console instead, like a cross between the Japanese company’s own 3DS handheld and their ill-fated Wii U console. So while the switch can sit in gamer’s living room like a traditional console as it comes with detachable controllers, it can also be used like a handheld, allowing players to game on the go alone or with friends. This is certainly a novelty, and it’s clear that Nintendo will be venturing into the unknown with this new console model. Although this new strategy of combining both mobile gaming and traditional sit at home gaming certainly makes sense taking into account that the company’s Wii U console wasn’t exactly a big success, while Nintendo’s DS handhelds have been a big success story. 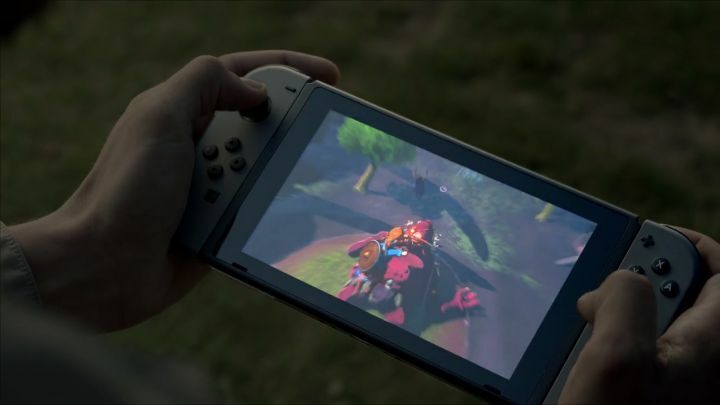 Although taking into account that the Switch can be used like a handheld it is likely that battery life with an issue, meaning that this new Nintendo console might not be as powerful as many were hoping and therefore not garner as much third-party support as Nintendo may like. But still, in the video we see the likes of the Legend of Zelda and The Elder Scrolls V: Skyrim being played on the machine, meaning that at least one major developer like Bethesda is planning to support the new console, which will hit the market in March next year.